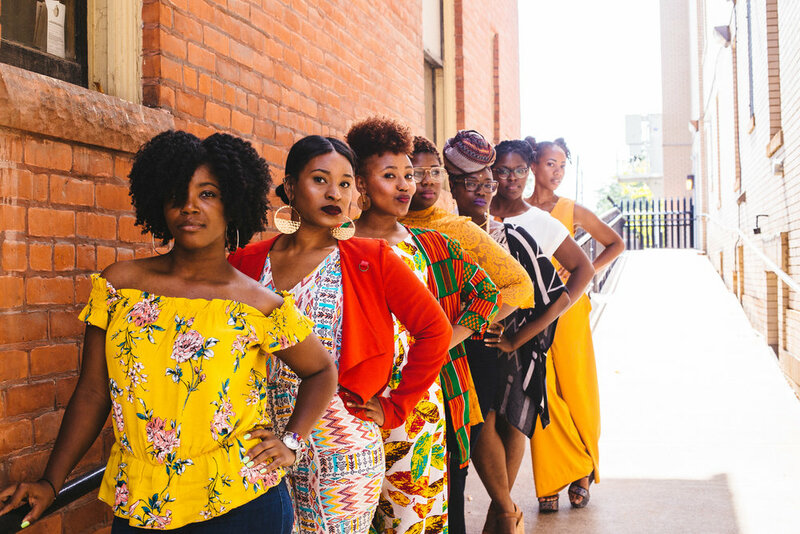 Attention ALL Dear Black Women in SE Michigan, we are having our second DBW photoshoot! And YOU are invited! FIRST: Groups photos. Guidance on attire below. After killing our photoshoot, we're gonna turn up with some good food, good vibes and good company. Bring your contribution to the picnic and a blanket. BRIGHTS Colors! Think reds, oranges, yellows, greens, purples. Your interpretation of fly and free. Nothing professional or "stuffy". Gorgeous Pictures from our FIRST Photoshoot by the incomparable Ify Arinze. Rock Your DBW Shirt to the 2nd Part of the Shoot! Click below to purchase! Shirts will also be sold at the party!